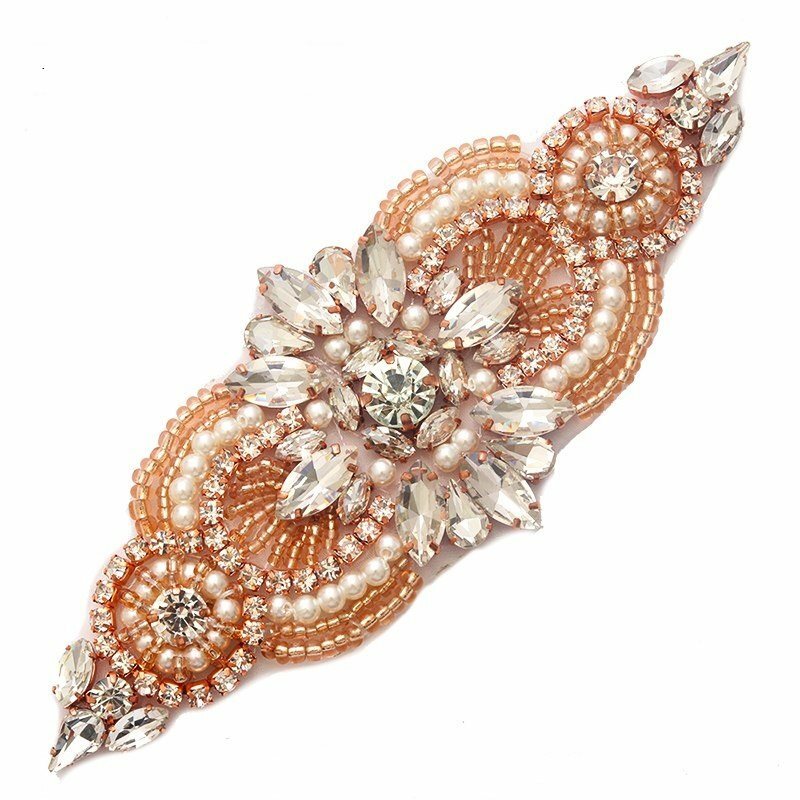 Applique Rose Gold Beaded Crystal Rhinestone Patch with Pearls. The rhinestones on this applique are a nice size and very beautiful. They really stand out and make a statement and would make a lovely hair piece. 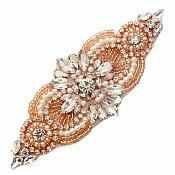 This applique is the perfect addition to any wedding dress or evening gown. It is a beautiful, shimmering rose gold color.